Since the American Hockey League announced in January that it was relocating five franchises to California and creating a Pacific Division, you knew the league was going to have a new look for the 2015-16 season. That look has been revealed as the AHL approved its division realignment for next season at its Board of Governors Spring Meeting. and one seven-team division in each. Division along with four other New England-based teams and three Pennsylvania teams. For the past four seasons, Bridgeport has played in the Northeast Division with Hartford and Springfield, so it maintains those rivalries. 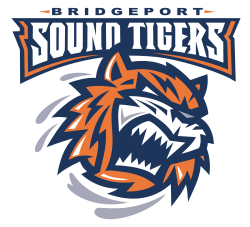 The Sound Tigers were in the same division as Providence, Portland, Hartford and Springfield during the 2009-10 and 2010-11 seasons. And, they were with Wilkes-Barre/Scranton, Hershey and the Phantoms (then in Philadelphia) for six seasons from 2003-04 to 2008-09. The Calder Cup playoff format will be finalized at the AHL Board of Governors annual meeting in Hilton Head, S.C., on July 6-9 with the 2015-16 regular-season schedule to be announced later in the summer. Teams in the AHL this season that were relocated were the Norfolk Admirals, Adirondack Flames, Oklahoma City Barons, Manchester Monarchs and Worcester Sharks. Manchester, Norfolk and Adirondack will be getting the East Coast Hockey League franchises that were in Ontario, Bakersfield and Stockton, respectively, for the 2015-16 season.